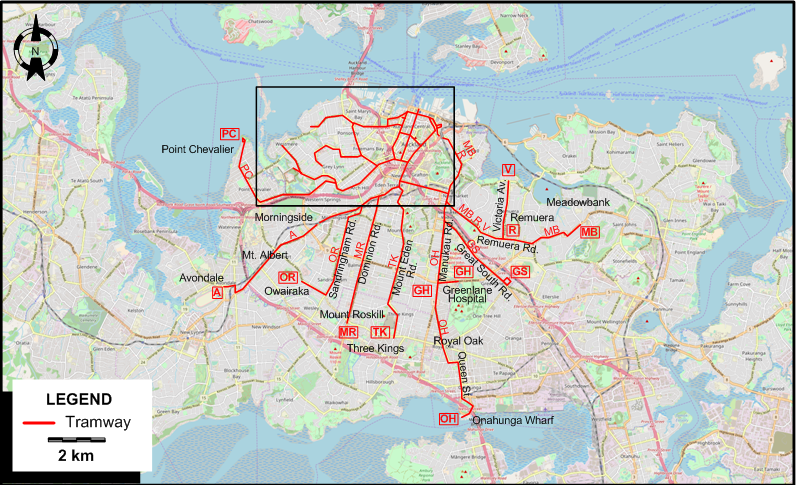 The Auckland tram network on the day the Herne Bay service was withdrawn, to be replaced by trolleybuses. GS Chief Post Office - Anzac Av. - Symonds St. - Khyber Pass Rd. - Newmarket - Great South Rd. V QChief Post Office - Queen St. - Wellesley St. - Symonds St. - Khyber Pass Rd. - Newmarket - Remuera Rd. - Victoria Av. 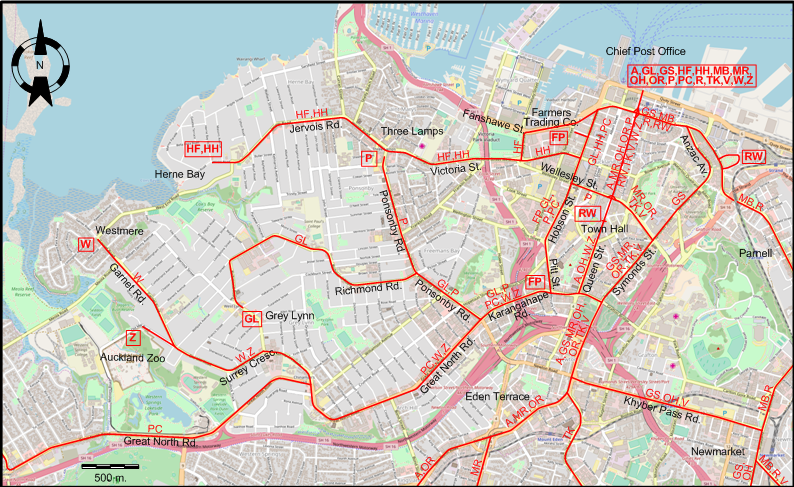 NB: Route indications are of an indicative nature only, they were not used by the Auckland Transport Board. Horse tramways: 1884 - ? Electric tramways: 24 Nov. 1902 - 29 Dec. 1956. 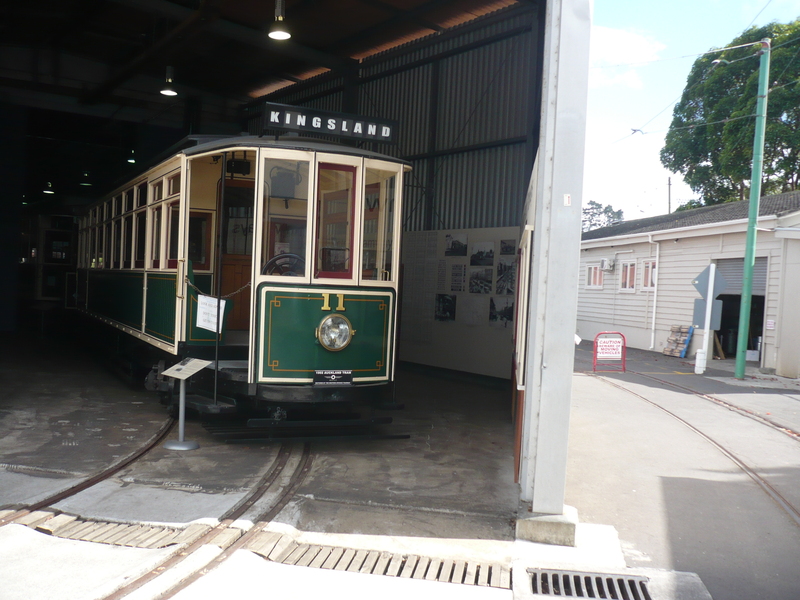 The Museum of Transport & Technology in Western Springs, one of Auckland's western suburbs, runs old trams along 1.7 km. of track. Pulling, N. "Auckland's rail future", Tramways & Urban Transit, Dec. 2013 (76:912), p.236-237. Russell, M. "Keeping Auckland's trams and rarities alive", Tramways & Urban Transit, June 2010 (73:870), p.236-237. Stewart, G. Around Auckland by tram in the 1950s. Wellington: Grantham House Publishing, rev.ed., 2002.